With the heat wave here at our Brooklyn headquarters this past week and temperatures in the 60s in February across the Northeastern US, we started talking about how the weather seems to be getting significantly warmer. In particular, the announcement that spring is coming almost a month earlier than usual. That means: warm weather, sunshine, outside concerts, day drinking, rooftop dance parties. We’re sold. But what does the warmer weather mean for the Earth? Does spring coming earlier spark a little bit of concern for you? It should. Climate change is the culmination of the effect of humans on the ecological balance of our planet resulting in permanent and detrimental change. We’ve seen record-high temperatures in the last decade, with significant greenhouse gas emissions escalating the problem. Scientists are estimating nearly 47% of the planet’s mammals are struggling to adapt to the increase in global temperatures, endangering their livelihood. 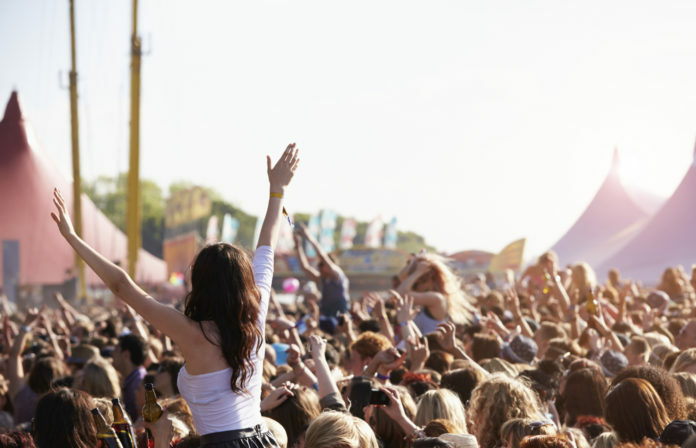 The changes are so drastic and the need for action so important that climate activism is coming from all facets of life, including from the music industry. Sammy Bananas is a Brooklyn based producer who has a socially conscious mindset. While he lives in New York and attempts to live a environmentally friendly lifestyle, he realized he flew far more than the average person for all of his shows, and planes are one of the largest (consumer-level) contributors to greenhouse gasses. With this thought on his mind, he decided to counteract his damage to the planet by donating to environmental advocate programs. After starting that, Sammy Bananas reached out to other DJs, and realized many felt similarly. 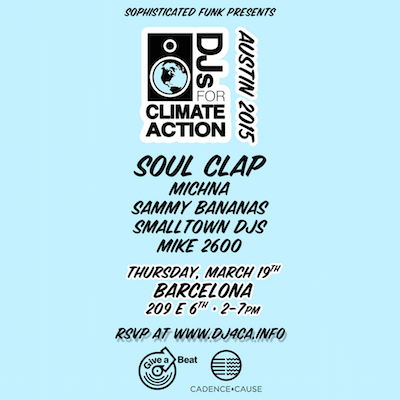 This birthed DJ4CA, or DJs for Climate Action, previously DJs Against Climate Change. 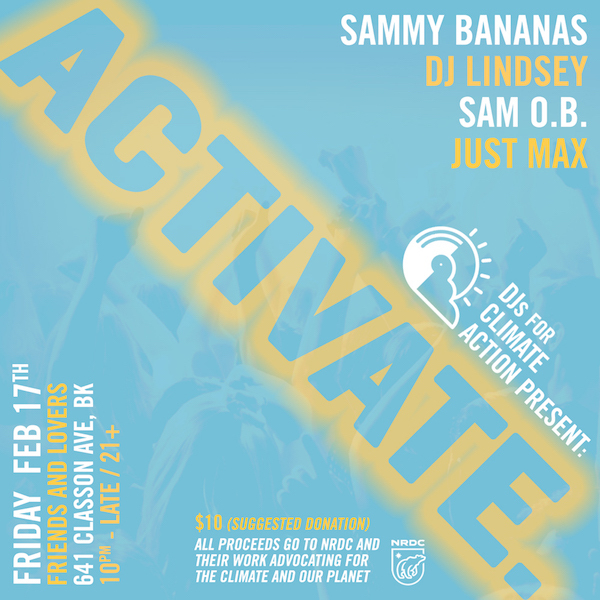 DJs for Climate Action is a nonprofit organization dedicated to using the power of music and their influential position to “to raise awareness and provoke response to the global challenge of climate change.” Producers and listeners are asked to take a pledge as a means to offset the damage they do to the environment. 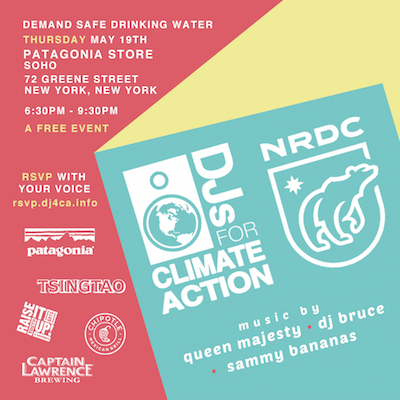 DJ4CA has been more active than ever, throwing benefit concerts and vocalizing their concerns by publicly opposing events and legislation that deny the reality of climate change. Members include: A-Trak, Grandtheft, Marvel, Nick Catchdubs, Nick Thayer, RJD2, Shiftee, Soul Clap, Thugfucker, and Wax Motif. With the inauguration this new US President comes a host dangers for the Climate Movement. The government’s positions on energy and the environment are expected to shift drastically, risking the progress we have made over the past decades. Our work promoting awareness and action around Climate Change has instantly become more difficult, but also more important than ever before. We find inspiration and motivation in this fact, and will turn up the volume against a retroactive agenda. Our new logo, designed by friend and fellow DJs4CA member Mike Davis, is a symbol this renewed enthusiasm towards our goals. It reflects our positive outlook – focusing on the things we can do, and looks forward to the promise and possibility tomorrow. It uses everything we’ve learned about Hope and Change and reminds us to never let go those lessons. Now, more than ever, we commit to using the power music to amplify our voices and align people towards protecting our planet’s future. In our upcoming Pledge for Action campaign, we will call on YOU, all DJs, musicians, music lovers, and all citizens who care about our planet’s future, to join our coalition and make a difference. Sign up and follow us to stay updated on our work and how you can get involved. DJACC also encourages donating to the National Resources Defense Council (NRDC) as a way of giving back outside of their events. More information can be found here.